Aveyond Game Review - Download and Play Free Version! 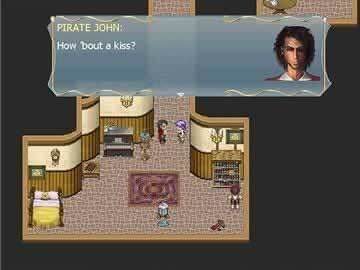 Classic 2D Role Playing game in the tradition of Final Fantasy and Chrono Trigger! Aveyond is the sequel to Ahriman's Prophecy, a hit freeware RPG that is filled with fun. Aveyond presents the return of the demon Ahriman, bent on loosing his minions all over the world. You play Rhen, a village girl finding herself in the middle of a cosmic battle to save the world. Rhen must travel every corner of the 4 world continents to find the lost druids that will help her retrieve the only weapon capable of destroying Ahriman. Rhen will also learn her true identity and face 3 critical choices at the end of the game that will determine her future. 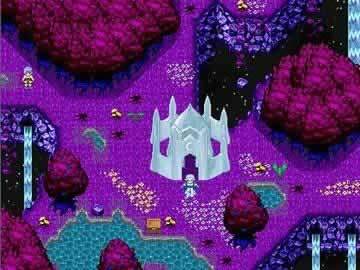 If you have ever played old school RPGs like Final Fantasy, Dragon Warrior, or Chrono Trigger, you know what to expect from Aveyond. A long adventure; lots of weapons, armor, magic, and items to find; lots of enemies of varying strength; earning experience to gain levels; and more are all found here. Like most RPGs, Aveyond is rewarding to play. With every battle you are gaining experience and improving your character for the final battle. Unlike many RPGs, you don't have to spend a ton of time leveling up, most of it comes naturally as you work your way through the adventure. More characters will join your adventure as you go. Although you can only have 4 active members on your team at one time, you can gain up to 7 other characters with varying skills to join you. Fighters, healers, summoners, and more are all here to help Rhen on her journey. I really enjoyed the varying areas in Aveyond. Through plains and frozen mountains, vampire and witch towns, deserts and islands, you will journey through diverse and exciting lands. Each area will present more or less difficult monsters to fight. However, tougher areas usually contain towns with better weapons and armor to buy. Travel in Aveyond is eased later in the game with warp crystals, boats, and even a flying dragon. This makes travel less frustrating since you won't have to fight easy enemies that won't give you the experience you need. I have always loved role playing games from the original Final Fantasy on the NES to Phantasy Star on the Sega Master System and all the variations that evolved later. Aveyond brought back alot of memories and I found myself putting work aside in order to finish the game - I just couldn't put it down! If you like RPGs or would like to experience one for the first time, Aveyond is a great choice. Although there is no mouse support (keyboard only) for the game, controls are basic and easy to learn after a quick trip through the manual. After that, you are in for a great journey! 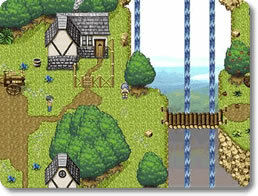 Aveyond is a classic role-playing-game with elements similar to such titles as Final Fantasy or Chrono Trigger. All of the classic RPG elements are there with turn-based battles, loads of items to collect off of fallen foes or purchase at the various shops, leveling up your party members to unlock more skills and spells, and a variety of dark creatures to fight. While the old-school graphics and visual spell effects may not be as flashy as those found in newer titles, they can't help but bring forth a bit of nostalgia for fans of this genre. One of the key draws to Aveyond is the intricate story and the variety of characters you can meet along the way. Whether its being captured by slavers, learning the intricacies of the Magic Guilds, or just joking around with the local herbalist, you're sure to find hours of enjoyable gameplay. Additionally, Aveyond differs from other games of this genre by allowing you to further customize your character by marrying someone, purchasing your own mansion, and getting a pet. While the non-linear aspects to this title can be quite enjoyable for the hard-core RPG fans out there, this also means that the mission goals within your journal can be somewhat vague at times and you'll have to search around quite a bit in some cases to determine just what needs to be done. Another slight problem is that NPC's can block your way at times making you wait for them to move which can get frustrating at times, but this doesn't slow the gameplay down all that much. Overall, Aveyond is a challenging and enjoyable RPG experience that fans of the genre are sure to enjoy. If you are a new gamer looking to get into the RPG genre or an old fan looking for some nostalgic gameplay, then Aveyond is the game for you. Player created video showing gameplay clips.